Hajj is a physical devotion that a servant is requested to fulfill in person, though a small part of it pertains to money, such as the offering of a sacrifice. However, the Prophet’s Sunnah clarified that proxy is permissible in Hajj, in case one is unable to perform it on his own due to legal excuses. If a person has the ability to perform Hajj in person, he is not permitted to authorize another person to make Hajj on his behalf. 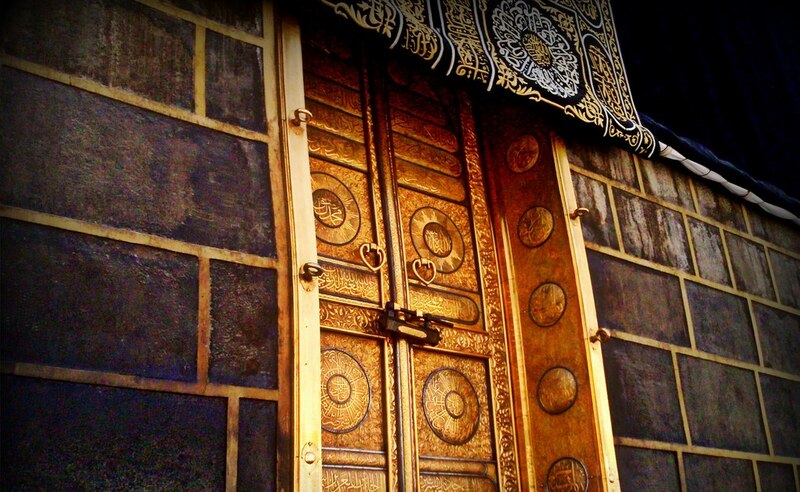 Many people loosely resort to Hajj by proxy in the case of supererogatory Hajj, even if they are capable of performing it in person, thus depriving themselves from the reward attained from the fatigue of worship and all that it contains of remembrance, supplication, submissiveness to Allah, redoubling of reward, useful meetings, etc. In one of the two narrations reported from Imam Ahmad Ibn Hanbal, he forbade proxy in supererogatory Hajj for those who are capable of performing it in person. Thus, a Muslim should not be careless concerning the matter of Hajj; he should perform supererogatory Hajj in person if he wishes, or provide pilgrims with money in order to share with them the reward of Hajj. Hajj is a kind of worship done by the servant as a means to please Allah and to attain reward in the Hereafter. A servant’s attention should not be completely diverted to attaining worldly gains through Hajj. Unfortunately, many people who perform Hajj on behalf of others do this solely for the sake of money, which is prohibited, since worldly considerations should not spoil worship. Allah will not accept a worship done not for His Sake. The Messenger of Allah salAllahu ‘alayhi wa sallam prevented seeking worldly gains in the places of worship when he said, “If you see a man indulges in a transaction in the mosque, say to him, ‘may Allah not render your trade profitable.” If this strict attitude is taken against those who utilize places of worship for worldly gains, what about those who turn the worship itself as a means of attaining worldly gains? We find those requested to make Hajj on behalf of others bargain and ask for more money, which turn worship into a craft or profession. For this reason, the Hanbali jurists maintained that it is invalid to hire a man to perform Hajj on behalf of another. Ibn Taymiyyah declared that whoever makes Hajj only to attain hire will have no reward in the Hereafter. However, if the proxy is made for a religious purpose, such as benefiting others with the reward of Hajj or aiming to increase acts of obedience through supplication and remembrance of Allah during the rituals of Hajj, Hajj by proxy will be valid in this case. Those who charge for proxy in Hajj should devote their intention to seeking the pleasure of Allah, aiming to exercise worships related to Allah’s House, remembering Him and supplicating Him, in addition to the fulfillment of the needs of their fellow Muslims who authorized them to make Hajj on their behalf. They should not pour all their attention on gaining worldly benefits, for if this becomes their sole interest, they will not be permitted to charge for proxy in Hajj. If one entertains a sound intention for proxy in Hajj, all the money he gets from the authorizing person will be his, unless the latter demand refunding remaining amounts after covering the costs of Hajj. The deputy person should intend to perform Hajj and ‘Umrah on behalf of the authorizing person unless the former stipulates to perform ‘Umrah for his benefit. A person deputized to make Hajj on behalf of another person cannot deputize a third party, unless after obtaining the consent of the person who commissioned him to make Hajj on his behalf. All the reward of acts related to rituals of Hajj goes to the authorizing person, but the redoubling of reward through offering supererogatory prayers and Tawaaf, as well as extra types of worship that exceed the rituals goes to the authorized person. Finally, we should fear Allah and do not pay much attention to the worldly gains, and do not turn worship into a means of attaining material gains! May Allah guide us to be sincere in our intentions and to perfect our deeds. May He guide us to the Straightforward Path, for He is the Most Bounteous and the Most Generous. Ameen. Whoever dies while the obligatory Hajj is required to make up for it, or if a vow of Hajj is due from him, then Hajj should be performed on his behalf from all his money, whether he commanded this in his will or not. Hajj on his behalf should start from where it has been due from him, not from the place where he died because making up for an act of worship substitutes performing it, thus it should fulfill the same conditions. This opinion was adopted by a group of scholars; including Ibn ‘Abbas, Abu Hurayrah, Ibn Al-Mubarak, Ibn Seereen, Ibn Al-Musayyib, Abu Thawr, Ibn Al-Munthir and it is the opinion held by Ash-Shaafi’i and Ahmad. Others said, with regard to the one who dies without performing the obligatory Hajj due from him, that if he commanded in his will, Hajj should be performed on his behalf from one-third of his estate. Otherwise, the heirs are not obliged to perform Hajj on his behalf unless they volunteer. This view is held by An-Nakha‘i, Ash-Sha‘bi, Hammaad, Al-Layth, and others. It was also adopted by Abu Haneefah and Maalik because the deceased has no right except to one-third of his wealth and debt to people is stronger because it should be fulfilled unless they relinquish it and because there is someone who demands it, unlike the debt due to Allah subhanahu wa ta’ala which is potentially subject to His forgiveness. Thus, it should only be considered from the third as there are no competitors thereto. There is a third opinion which is narrated to have been adopted by Ibn ‘Umar, Al-Qassim ibn Muhammad, and Ibn Abi Thi’b. They said that no one should perform Hajj on behalf of another absolutely. Nevertheless, the above-mentioned traditions constitute evidence against them.